I promised a resources post, and here it is! Below you will find an assortment of my current must-haves for any beginners and aspiring watercolor artists out there. Alright, friends, I am going to be real with you here. DO NOT shop for art supplies at Michael's, unless you plan to use a coupon. The prices are much higher than your local art supply store, which is how they get away with offering, "discounts," constantly. The price with a coupon will run you about the same (or more!) as purchasing on Amazon or buying from Jerry's Artarama (my two fave places to buy art supplies). Basically, you are throwing your hard earned money right into the garbage - yuck, don't do that. I buy 90% of my art supplies on Amazon, because it's quick (Amazon Prime is life), I can wear my pajamas, and I can pretend I'm not spending as much money as I really am. I've included my favorite supplies below for your shopping pleasure. Disclaimer: there are some affiliate links down there (meaning I get paid a little teeny portion of your sale if you choose to purchase - THANKS! ), but I am only sharing products I actually use and love. I started out with this little Winsor & Newton Cotman set, which is perfect for beginners or those who only dabble in watercolor occasionally. The Cotman line is super affordable, and I would highly recommend it over any other student-grade set. These paints have great transparency and layer well. BONUS: the palette is reusable, so you can refill it with professional paints when you are ready to upgrade. I still use my Cotman set from time to time when I am converting a watercolor to a digital file or need to use a LOT of paint - i.e. galaxy paintings. If you are shopping around for student-grade paint, here is a word of advice: I tried the Sakura Koi set, which is recommended by more people than I can fathom, and I would urge you not to waste your money on it. The paints did not mix well and became very chalky. Cotman paints are in the same price range, and the quality is a million times better. When you're ready for professional grade watercolors, I typically use Winsor & Newton's professional line. Here is a great starter set if you prefer tubes, and here is one for you pan-lovers. I buy tubes and convert them to pans, and here's a great tutorial that I used to make sure the watercolors don't crack. 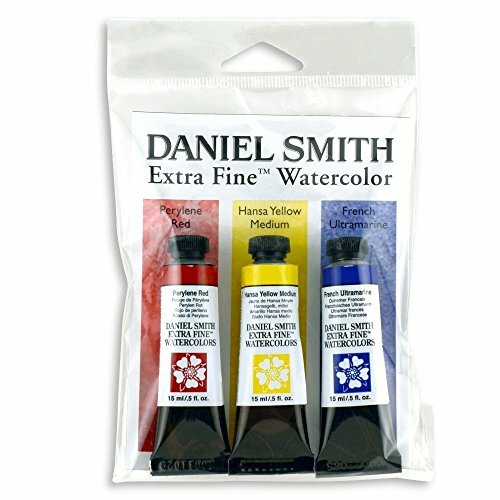 I've also recently fallen in love with Daniel Smith paints, and they have a ton of beautiful colors. I recommend the grabbing a primary set if you are just starting out, and then adding fun colors like Cobalt Teal Blue #love. I use gouache when I am looking for something a little more opaque than watercolor. This is great for creating surface pattern design or any project you would like to appear more bright and vivid, particularly when you are scanning it in to use as a digital file. You still mix gouache with water, but there is typically less layering required, so projects come together more quickly. 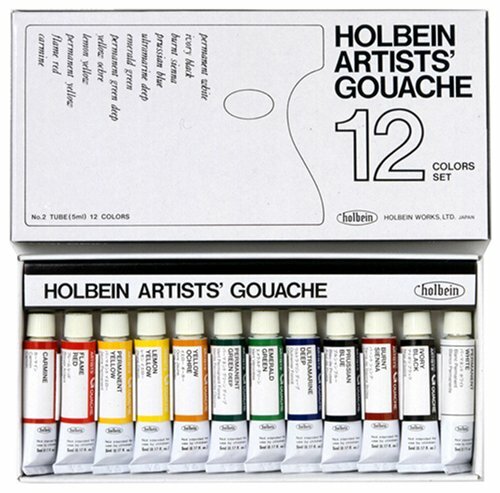 I prefer Holbein's gouache paint, because it has a smooth and creamy consistency, mixes well, and the colors are bright and fun. It also won't break the bank for a big set (I have the one below), so it's perfect for my fellow starving artists. I am extremely picky when it comes to which surfaces I like to mix paint on. Porcelain is my absolute favorite mixing surface, and I bring this tiny porcelain flower palette everywhere I go. The paint doesn't bead up on porcelain like it does on plastic and metal. 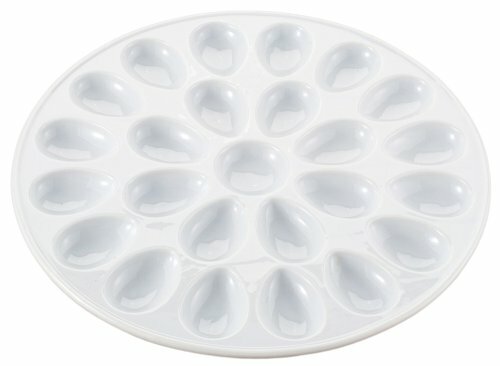 I recently spent quite awhile searching for something bigger on Amazon that wouldn't cost a fortune, and decided upon this deviled egg tray. It will only set you back $21, and the egg shapes are perfect for mixing paint! I use this bad boy every day. Arches block paper is by far my favorite for commissioned paintings on cold press paper. It's not cheap, but it's completely worth it. I use a lot of water, and the blocks prevent wrinkling and you don't have to waste time and mobility by taping your paper down. 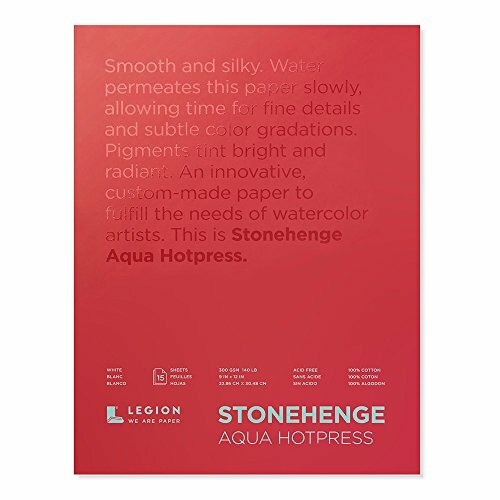 When I want more vibrant paintings with less texture, I go for Legion's hot press 140lb paper. If I'm just looking to practice or following along with a Skillshare tutorial (see more below), I typically will use a Strathmore 400 Series pad. Whatever you use, make sure it is 140lb paper to accommodate the watercolors. When I am urban sketching and taking my watercolors on the go, I have a major preference for the Moleskine Art Plus Watercolor sketchbooks. I love them because I can paint on the front and back with no show through. I do typically clip the pages with a binder clip as I am painting, so I would recommend keeping a few of them on hand. 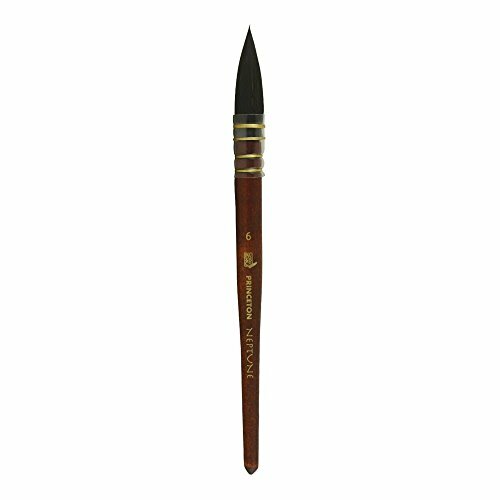 When it comes to brushes, artists like to keep their recommendations a mystery. I typically see, "buy the most expensive you can afford," or, "buy a sable or squirrel hair brush," with no recommendations on brands. Well, I am not going to leave you in the dark, friends. I have a LOT of brushes, but right now my favorites are my Princeton squirrel hair brush, my super affordable synthetic Loew Cornell round brush set, and my Winsor and Newton University Brush Size 0 for tiny details. I had a Cotman series Winsor & Newton brush, but the paint started chipping off. So far I haven't had that problem with the University Series, but I will update the post if I do! A few random things I always keep on hand are kneaded erasers, this mechanical pencil, and these awesome Faber Castell Pitt pens (they're waterproof, so you can use them before or after you paint). 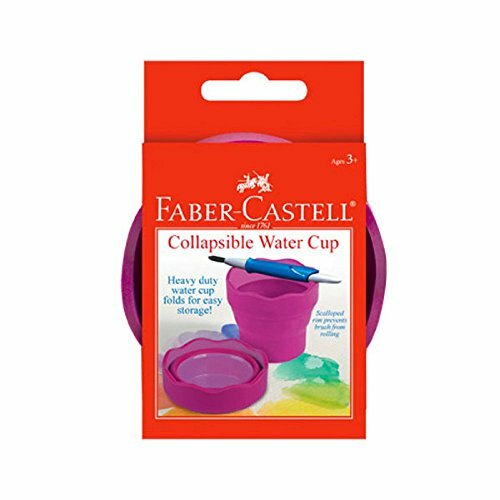 I am also obsessed with this water cup, because it folds up for travel and holds your brushes across the top. I bring the little guy EVERYWHERE. My FAVORITE site for expanding your skills (no matter which medium you prefer) is Skillshare. I take Skillshare classes all the time, because they are quick, help you improve your technique, and support fellow artists! Each class is self-taught by an artist who took the time to share their expertise, and they receive a portion for every student who completes their class. Pretty cool, huh? If you use this link, you will receive your first month FREE. If you hate it, you can cancel your subscription before your month is up! Sidebar: my favorite instructor is Nina Rycroft, a children's book illustrator. Her classes are super informative and her characters are adorable. I also love Julia Henze's classes for Urban Sketching. Check 'em out! 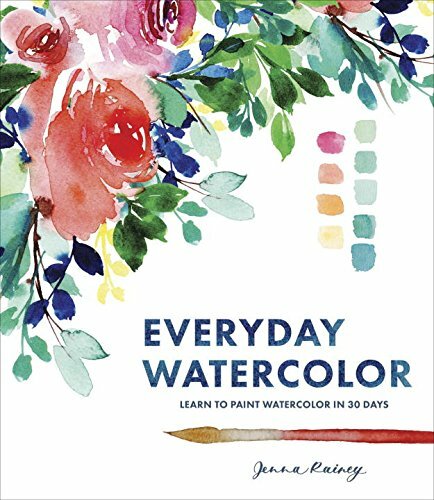 I also pre-ordered Jenna Rainey's Everyday Watercolor book (below) releasing in October, because she has fantastic tutorials. I recommend scooping up her book and checking out her instagram for more.